Historically, demand in the housing market, coupled with sustainable household debts at the onset of a recession, has proved to be the panacea to U.S. recessionary cycles. In times of economic downturn, the always hungry American consumer slinks quietly into their dwelling, accumulating demand and stockpiling savings until they eventually flood the markets with latent demand and surplus cash, spurring growth and vanquishing the recession. The current recovery is distinct in that we cannot rely on the consumer to save and subsequently spend since they are suffering from the treble blows of negative equity, unemployment and skintight consumer lending. Worse yet for builders and the economy, a massive excess of housing exists that will take years to consume before any significant construction can logically take place. Since the Fed is at the end of its proverbial policy rope, what can be done to defibrillate the recovery? According to the Chairman, strategies for stimulating recovery are “outside the province of the central bank.” He has surrendered, but did not ask for amnesty. Rather, Bernanke puts Congress on notice, and on the spot, chastising them for intentionally causing the recent credit downgrade and their practiced ineptitude with resolving the national debt crisis. The Fed can only conjure so much monetary alchemy with their ability to create cash. The monetary conditions for stimulating growth and stability have been formed (read: low interest rates), along with all the cash needed to get banks back to lending. The question remains: why aren’t our financial institutions lending, giving consumers a chance to spend and innovators a chance to realize their potential? The answer is debt. And the Fed has absolutely no power to resolve our debts, be they household or national – once they let it all take place. first tuesday take: Fringe political agitators, small in number as they are, and supply-side Lake-Wobegon economists are attempting to subsume Bernanke into the political machinery and write-off his advice as empty rhetoric, much as they are doing with Paul Krugman (note: Krugman is banned from the Jackson Hole conferences). With this speech, the Fed Chairman has equipped them with more ammunition by gesturing toward Congress as the culprit in the recovery slow-down. Let’s not get ahead of ourselves, however, and jump on the lynch-mob bandwagon. Bernanke is an academic, and we know this since he approaches the questions about the economic recovery from a highly rational standpoint without the dogmatic mantras used by politicos. His suggestion that Congress needs to act is not a political maneuver, but is rather born out of simple logic: the recovery is going nowhere because of unsustainable household and national debts, the Fed has no power to create policies to ameliorate these crippling debts, therefore Congress must act. Bernanke sounds a warning that we can only hope the policy makers will hear: “Without significant policy changes, the finances of the federal government will inevitably spiral out of control, risking severe economic and financial damage.” Not the kind of conditions real estate brokers and agents want to face after four bad years. What is Congress to do? 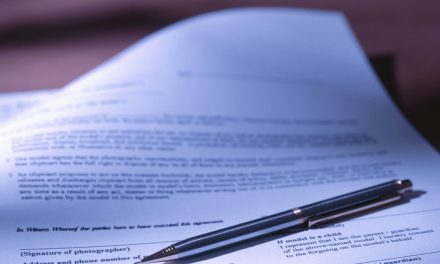 They can start by easing the burden placed on the underwater homeowners (of whom 2.5 million are in California alone) by mandating principal reductions to the value of the mortgaged home. Take drastic measures to eliminate America’s untenable household debts, put cash back into the consumer’s pocket and maybe the all-powerful invisible hand of the free market will slap the newborn recovery’s bottom and it can gasp its first breath. 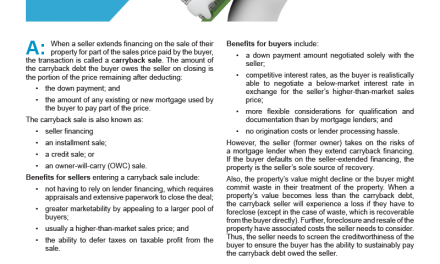 Client Q&A: What is a carryback sale? OMG When and Why do we trust the FED? They left rates low too long then BEN Rasied them to 6.75% in a years, then he dropped them PEOPLE THAT IS PROFIT TAKING….the Fed is NOT A USA BANK….it will be abolished and $500,000 will materialze in the USA…WATCH…It Happen Google search fed audit 2011 and throw up. Trillions in tarp money GIVEN to overseas Banks I see the torches and pitch forks…kill the monster!! !chanted !! !